Happy Birthday to all of the Derby contenders! Everybody turned 3 on New Year's Day! Okay, for that matter, all thoroughbreds had a birthday on January 1st. The Kentucky Derby is still 4 months away, and now it's time to separate the pretenders from the contenders. Already, a few runners are assured a spot in the starting gate for this May's "Run For The Roses" based on current earnings, but a few are just now making their presence known. One promising now 3 year old, in particular, is certain to be a factor. 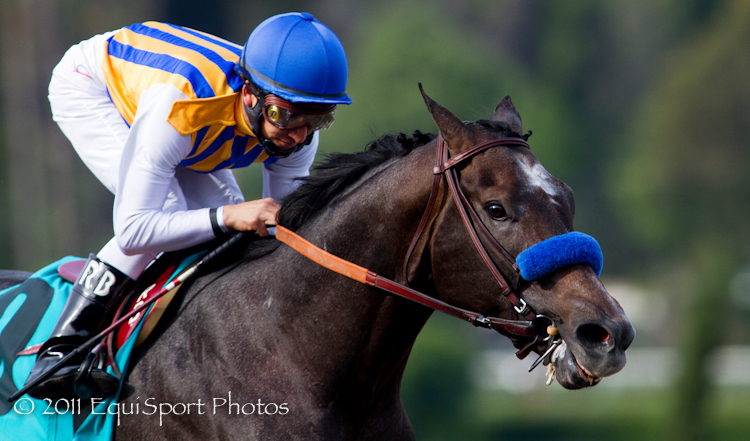 A Bob Baffert trainee, "The Factor", may have made the biggest slash coming into the New Year. Running under the colors of part owner George Bolton, The Factor broke maiden at Santa Anita the day after Christmas in track record setting fashion. The son of War Front posted an eye popping 102 Beyer figure. Baffert said of the colt after the race, "He didn't even take a deep breath". Baffert admitted the colt's name was inspired by Bill O'Reilly's Fox News program. Look for The Factor to move right into Stakes company to get started on the Derby Trail. 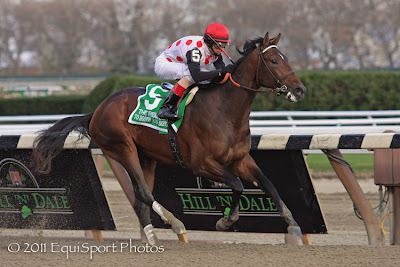 Another Up & Comer, To Honor and Serve, proved much the best in winning the Remson Stakes, November 27 at Aqueduct. One more 3 year old to make note of is Brethren. A half brother to last year's Derby winner Super Saver, the colt won an Allowance at Churchill in convincing fashion November 27th. Brethren, Garrett Gomez up, wins an allowance at Churchill Downs 11.27.2010 Wendy Wooley/EquiSport Photos. Here is the rest of the "Derby Word" for the New Year. A lot will shuffle between now and the first Saturday in May as the Real Contenders make themselves known. And on the Distaff side, a look at the Oaks Fillies that have shown promise. 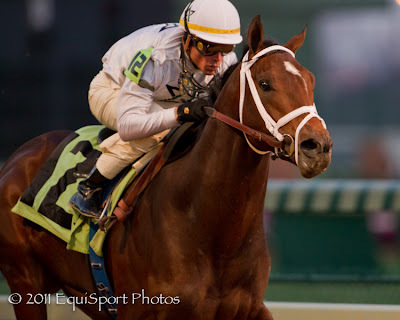 @Derbycontenders was tweeting yesterday about Machen, who won his debut at Fair Grounds. I watched the replay and he was spectacular. He certainly belongs in the discussion now. Wow! Thanks for the tip Anon! I watched the replay. Another great looking son of Distorted Humor. I'll put him on the Watch List.